Collecting Greta Garbo is a very wide field. Every serious collector will be aware of one special kind of memorabilia which is really unique: VINTAGE FILMPOSTCARDS. Among all countries with an evident tradition of printing those cards, it was Germany in particular publishing thousands of postcards dedicated to film actors and actresses, stage artists, directors and all film related subjects. No other country worldwide has offered more postcards honouring unforgettable stars from aboard and abroad. The biggest and most well known company in Germany was ROSS VERLAG in Berlin (Verlag is the German word for publishing company). Ross was the best and most renowned company which was successfully dealing during some decades of the 20th century. General information about the German Ross Verlag by Mark Goffee can be read here (see More infos about “Ross Verlag”). I would like to point out special facts regarding GRETA GARBO ROSS CARDS. 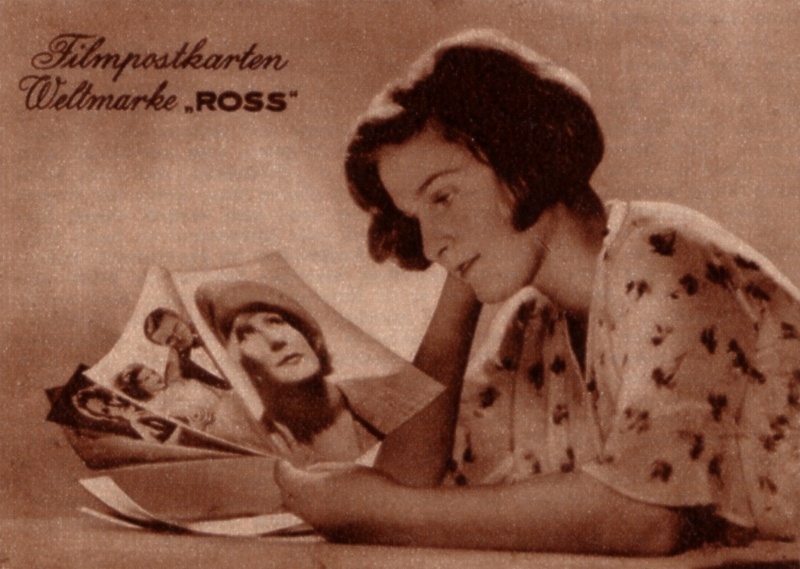 A very detailed source for all Garbo fans who want to be informed about existing Ross cards and an important kind of reference book for all serious collectors who have already started to collect Ross on Garbo or who are just at the beginning of their passion. You as an interested person in Garbo or Ross have the extraordinary opportunity to see a l l Garbo Ross card images and art sheets (except of two unknown K-card motifs) plus a l l existing miniature cards. That's really unique and you won't find that great variety anywhere else. 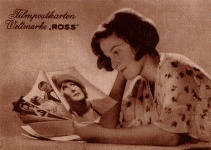 All together we can present more than 600 Garbo Ross cards on our homepage. Please, be so fair as to consider the copyright which will be mentioned at the end of the Ross section (see button Epilogue). We are proud being the only website worldwide showing the complete Ross production dedicated to an unforgettable star and woman who will be immortal for all of us. Welcome to the world of Greta Garbo Ross cards from a German publishing company which has erected a monument to honour a divine goddess of the silver screen. More Infos about "Ross Verlag"